Here is another great giveaway for those who have babies or are expecting! 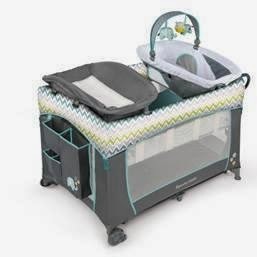 Who has a baby or knows someone who is pregnant and still needs a playard for their baby? This giveaway is a great one for moms of babies, expecting moms! This giveaway is hosted by Fun Reviews and Giveaways and will end on August 1, 2014. The prize will be an Ingenuity Washable Playard with Dream Centre in Avondale. I love that their products unzip quickly and that they are machine washable! Sometimes wiping down baby gear just doesn't cut it!